Enjoy our circulation boosting facial, your skin will immediately look and feel toned, fresh and radiant. This luxurious facial comes with all the perks of getting pampered, and finishing touches we have offer here at J&C Skincare. We use our season’s best natural and organic ingredients to guide your skin from the changes undergone throughout the year. With this facial you will enjoy a Bright Eyes Treatment and Luscious Lip Treatment introducing a hydrating, plump. You will be revitalized and ready to enjoy the night out (135). 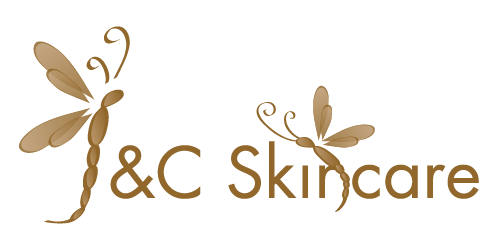 Here at J&C Skincare we use Eminence Organic Skin Care Products made with fresh fruit pulps, plants and exotic spices from organic environments making them incredibly nutrient rich and only the healthiest choice for you, but also the most effective, results oriented collection around (100). It is a well-known fact that the summer can leave traces of pigmentation and sun stress on your skin. Whether you managed to protect your skin from the damaging effects of the sun, there is still need for a quick and thorough revitalization. Experience through this treatment with our enzyme which will assist in the exfoliation of your skin and dissolves dead skin cells, as a result you will get a brighter and smoother skin (90). This Facial is ideal for skin types experiencing acne breakouts. Acne is a broad term covering blemish breakouts, blackheads, and whiteheads. Even though acne is more known to be a problem amongst teenagers, and oiler skin, this condition can strike at any age and any skin type. Your skin will feel clean, clear and refreshed (90). This Facial is ideal for skin types experiencing sensitive skin. Sensitive skin is a broad term covering red, heated, sensitive, rosacea, eczema, psoriasis conditions. Using Hungarian spices to gently flush toxins, we will reduce red skin, and calm with our healing refreshing treatment (90). Anti- Defying Fountain of Youth this firming and lifting treatment is created for skin that shows some signs of aging, dullness and fine wrinkles. The highlight of this amazing treatment is our first all-organic fruit Glycolic peel. This facial will boost your collagen production, infuse your skin with powerful antioxidant-rich Bio complex, diminish signs of aging and firm your skin (90). A personalized facial designed for the modern. Shaving and environmental assault deplete the skin of much needed nourishment and protection. By focusing on your particular skincare needs and requests, our esthetician will develop a personalized facial and follow-up regimen. The result is a healthier, more resilient skin (90). This facial is designed for those of us who are you feeling rushed but still want to take care of their skin. This quick customized treatment will cleanse, exfoliate and revitalize your skin. Perfect pick-me-up! Please Note: This Facial does not include extractions (70). Purifies and tones back with the refined technique of our finest facial. It’s including organic sugar scrub exfoliation and warming paraffin mask (80). Enjoy our luxury body treatments for skin that radiates and is soft to the touch. Carefully balanced to both deeply cleanse and comforting treatment with a sugar scrub exfoliation, our body treatments lift the veil of dullness (110). This day of beauty will pump you up with a nice relax Facial, back Facial hand and feet treatment (3HR) (250). Rejuvenating eye treatment that is designed to firm and tone the eye area, this treatment soothes puffy eyes and helps to diminish fine lines. (Can be reserved separately in the spa or added in to any facial, or body treatment.) (35) With facial (25). This innovative treatment is designed to completely clean the lip surface through gentle exfoliation. Additionally, Lip Service increases the lip volume naturally, leaving a luscious pouty mouth. (Can be reserved separately in the spa or added in to any facial, or body treatment.) (25) With facial (15).